On Genes and Royalty Popularly known as Unica Yayiro Windsor. Direct ascendant of the Duke of Windsor. On 1936 his abdication from the throne of of United Kingdom of Great Britain plunges the state abjured from absolute power. The Duke of Windsor becomes 5th Reich of United States of America and Formosa to Unified Germany. Czarina Alexandrina and King Christian XSr of Denmark Great granddaughter. And King Frederick IX of Denmark, the Earl of Armenia and Captain Chief of Armada salic statute pragmatically ascendant. 1965 at only two-and-a-half years of age, She was officially designated as titled royally as World One State Premier of Bundestag. Granddaughter of Empress Mary Von Teck and Emperor Henry Manchu of Anjou and Navarre. 1971 By Edict of Nantes Crowned Princess Royal of Denmark and Rome was synonym to Crowned Queen Apparent of Denmark, Wales and of Scandinavia. Daughter of Duke of Windsor and Queen Mother Bowes Lyon. Crowned In Versailles 1982 Paris France. As a person Friends and Teenage classmates of the Princess often times ask her, How's to be living together with her very famous royal family. The Princess just simply smile in her naughty way and reply: "Being Danish in family orientation, one must be very quick at the mean between a block of ice and a bucket of butter." The royal family has its traditional way of name tagging their primogeniture to the throne. Apart from the official State names derived from strict constitutional standards and scientific ways by DNA test. In the Part of Margrethe Valdemarsdatter I, The remains was dug up in Vegan City, 1971 The Princess was of 25percent related. 1982 The test was repeated to more advance DNA assessment in France resulted to 26 point something related. Name tagging was actually done upon a princess is born. If the first born is a female and happens to be The Queen's first granddaughter, the entire family will now recall those ancestors' traditional names tagging. "Leah" in the royal family means Lady Elizabeth Awkward Heiress. And every first born princess is always the family "Aquirah". When the princess was baptised in Catholic Faith, The Nuns and Priest back 1960's, Spanish traditions are strictly observed. Thus names were derived as Maria Fairolaine after King Philip the Fair. This in accordance to The Treaty of Westphalia that Germany was The Roman Empire. Scandinavia since the beginning of its history, And its medieval influenced, Their is this confinning basic tapering principality, And being a Danish of Denmark was truly a big deal for them, A country of culture of its own definitive right, Their is this obstinate perennial defiance of Roman Catholicism. And have been the part of being a Danish moral fibre antiquities. Princess Grandfather Rajah Alimuddin deSultan described his Danish defiance and egoism as; "From time immemorial!" This is the reason why all royal family has two names. 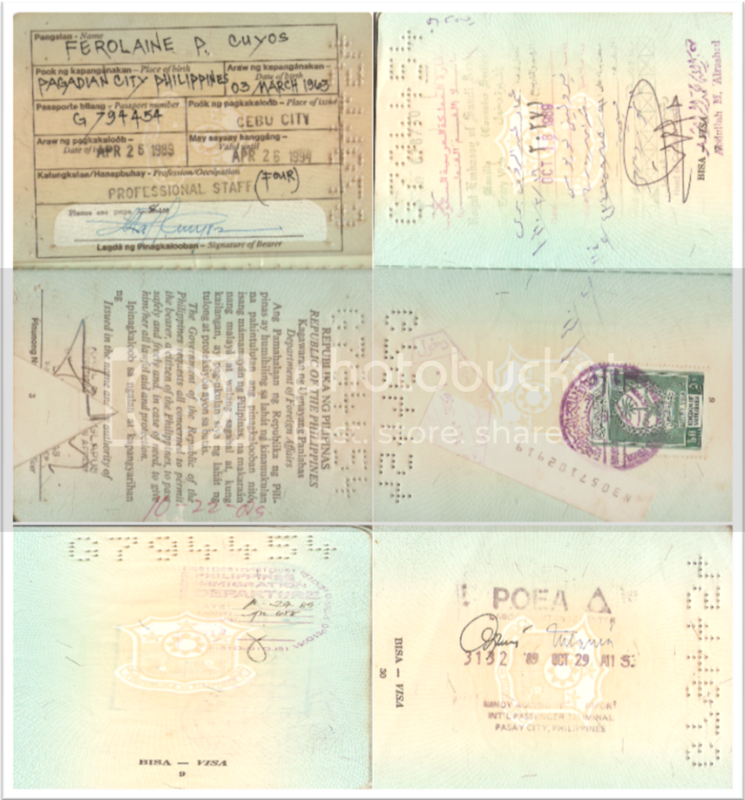 By Birth Certificate the Princess is Ferolaine means "In the Lines of Pharaohs". 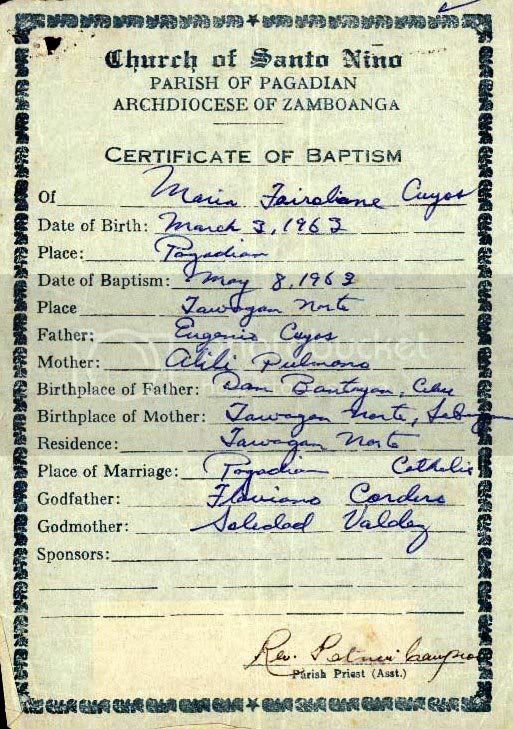 Apart from her Catholic Baptismal Name Maria Fairolaine after the Catholic acts of monastic sentiments. 1965 Austria had granted Princess Family with Chancellor Otto Von Bismarck, Princess Grand Uncle for an entry to pay homage to Austria. Travel to Austria for a just two and a half years old. Media of That night of the event spotted her sitting at her Grand Uncle Otto Von Bismarck wooden paralysed legs by his wheel chair. The Chancellor of Germany introduces the princess as the Queen Anne of Crowned Princess Royal Victoria of Germany. The event of 1965 Statute formalities was well received in Berlin, despite of its on going cold war, Germany Democratic Republic GDR and Russia Premier has granted the princess her first royal title. Of which some affirmation was completed in Christiansbørg Palace Copenhagen. The Wall of Berlin has bring so much difficulties to Princess royal family. It was a wall of miscommunications and cold treacheries. But despite to all enter governmental blockade, the royal family has managed to pay homepage to Berlin at least yearly. Because of Berlin procurement difficulties and seclusion, The King of Denmark who by himself was the Captain of Sommer Set of that time, can't just manage to stay till the rest of the week or the entire staff , crew and its families will be out of provisions. The princess can't forget the depression of communism on 1967. It was the first time she had seen her father so depressed, while facing the walls. And it was also in that wall, The impossible dream of people power to assemble against those walls to bring down and crushed started.The intensity of cold war of 1967 State homage has put the entire royal family on drastic untoward assault,apprehended. It was the first time the princess at only five years old, experienced how's being assaulted & cuff, detained on a dark room without a crime. At least the crises had only lasted for three hours,The family has been rescued and declared safe. And the traditional yearly Bordering of Reich traditional ceremony has finally took place. Seeing all the horses of Berlin been dressed up in Teutonic Royal Order the kid trauma seem vanished from its vanquished. The royal family never cease fighting asserting princess state right for Europa at court. Until 1982 at princess 18th birthday. The government of Germany Democratic Republic & Russia now of certain framework to give up communism. President François Mitterrand of France now with USA on a committed agenda to the finality to end up cold war. The Count of Paris Henry de Manchu debated France of The Princess right to take precedent for suzerainty in France. As Head of States Crowns Pedigree On Royal Crowns and State Titles. Princess Constituted Royal Titles and Right By The International Law of Treaties, Dominium of Hapsburg aftermath ww2, Royal Pragmatically Salic Primogeniture, The princess has inherited her Grandfather's and Grandmother's every Royal State Titles. This has been determined by Scandinavia and French Constitutional Stature, Layed by Her royal Grandparents through series of Court Proceedings. By United Nations Court of Appeal Tribunal from 1965 to 1982. The princess has took precedent to every male heir to the throne of Rome & France primarily. ♠1965 Bonn and Weinmar Constitution. By Wallmatcht and Laine. As World One State Premier. By the Glucksburg Lancaster York Romanov of Hohenzollern Salic Primogeniture Pragmatically. Preceded by United Nations Court of Appeal Tribunal through Series of Promulgations, Bundestag Germany Russia Austria Denmark Scandinavia Respective Parliaments. ♠1971 Edict of Nantes II - Umbrella of Faith - Vatican II. State Church Constitution. By Medici and Chamberlain. As Crowned Princess Royal of Denmark and Rome. The Cede of Manila by USA. The Medici Salic Primogeniture Pragmatically. Preceded by United Nations Court of Appeal Tribunal through Series of Promulgations,& Parliament of Rome Denmark Scandinavia. ♠1982 Farnese and Romanov of Versailles Frankland State Crowns, Absolute Wills and Constitution. By Farnese and Chantal. As Le Grand Monarque Inherited The Title of King Louis IV.Crown Title and Absolute Wills in Pen and Ink Absolute and Sole Signatory. Except on Romanov/NATO Absolute Wills Sign with Councils of Seveth Reich. 1982 was also of Frankland Canada Renewal of State Constitution of Le Grand Monarch of Frankland Scandinavia incumbency of reign. President François Mitterrand & Comte le Farnese of Twin Sicily, Assertion of Social Justice of Denmark, France Germany & Russia at G8 Summit of June 5th 1982. Writ was served by Danish Central Command Yellow Submarine from Route of Cebu South Korea Japan to France Frankland Germany and Russia. Preceded by United Nations Court of Appeal Tribunal through Series of Promulgations, & Parliaments of France and Supreme Justice Court, Germany Bundestag, Russia Duma, and Denmark Scandinavia Rigstad. Education On the issue of royal education, The princess receives her first education from her grandmother Queen Mary Von Teck, The princess has also undergone normal Catholic exclusive schooling which is also a family tradition in educating a royal sibling, as well as home tutorial by her Grandfather Emperor Henry deManchu and by her mother Princess Benedictes Bryllup a devoted educator. Constant military training since two and a half years old is a family tradition, under Queen's Buff Sommer Set Li Light Brigade. Of B Coy Company The Tigres. Of which B means Bblyn and Real McCoy means the Cuyos, King Frederick IX of Denmark little vassal. Bblyn as she was in the family. Fair to her friends. king Frederick IX of Denmark her classiest grandfather fondly address her "Aquirah" after his mother, Czarina Alexandrina of Russia. A young professional Civil Engineer. Emperor Henry Manchu a proud statute grandfather half-brother of Queen Mother Elizabeth of United Kingdom and a mentor encouraged The Princess to pursue another degree of her interest for personal refinement purposes. Because one should be fine and appreciative not just on a new found male career. Taking up Bachelor of Fine Arts Major in Commercial Advertising, is the princess continuous career to early finery entrepreneurship exposure. Just recently she completed her graduate course and degree in Master's in Business Management and Administration. ReligionThe Historical implications in side of religion. Has brought so much bygones of heritage as well as catastrophic struggles on church, the political state and Princess Aquirah royal family. Their is this vastness of curiosity in the princess having this religion different from the masses of Catholics of being a primarily Lutheran Protestant. However the family doesn't mind what religion the state presently they are residing used to be. The family are well rounded and well adjusted and well discipline institutionally and have great respect to every religion of that particular state there in. The Princess like her French Navarre ancestors of Scandinavia always had the tendency of religion curiosity having win by herself friends from everywhere around the globe, that People Power in EDSA - RUSSIA- BERLIN was a Plantagenet dominium of broom's tails in spiritual reunion. The Princess was always been the motion of every thousand sides of notion's stories. The Treaty of Peace in Paris 1904, Hapsburg has ceded Philippine Island to United State of America by France and Czechoslovakia protectionism from Japanese Dictatorial Fascism Rule & allies it self to Germany and Italy towering dictatorial notions of Nazism. That lead the world to holocaust, The genocide massacre of Armenia, The Death March of American GIs in Philippine Islands. On the surrender of Japan to USA, The world seem vindicated from the towers of dictators. On 1945 Regent Japanese government empires that's includes the entire Scandinavia & Germany, has been granted a provisionary constitution called The Bonn & Weinmar Constitution. Where the legislative body has been divided into Lower House of The Rigstad and Upper Senate House The Bundesrat. The pending controversy on State Church separation of rule, has been alleviated since the proposition of King Alfonso XIII on 1925 that cause him to escape from Religious Death Sentence in Rome. It was the times in the midst of World War One, the world ever has it's first and maybe last taste of most holiest adjective, to best described The Filipinas Vishaya Born Emperor of Rome & Spanish Unified Germany; "The Escape Goat...", From which original quote was of The Crowned Pope of Vatican. Of which later such short live cold war with the pope was immediately patch up. King Alfonso XIII Margrethe II Valdemarsdatter Great grand fa in father's side has been recall back to Rome with a renewed relationship with the Pope till his last days. On 1957 By Treaty Rome, Japan Assertion of a Constitutional Monarchy has been legislated by Queen Margrethe II Valdemarsdatter Great Grand father in mother side. USA Vis Roi of Rome Emperor Frederick Clement II deOldenburg. And Japan & Denmark Captain Guard Masaiche deRoxas 9th Frederick Edward of Third House of Bonaparte becomes Japan Consul General of USA Japan and Philippine Sultanate of Jolo to Europe. 1971 The Masaiche now on his twilight years. As United States of America Ceded Sultanate of Jolo, Scandinavia and Entire Philippine Islands to France Europa. Princess Spanish - American Royal Family Struggle so hard for the last time to end up 400 years of Holy Wars in Muslim Malaccah Asiatic Region and The on going holy war in Yugoslavia Baltic Regions of Europe. To take the big step by means of a Sovereign Absolute Constitutionality to Treaty. In 1971 France has finally layed its most antiquated Statute of Nantes of King Louis XIV, in advocacy of Statute of Rome Umbrella of Peace and Faiths in Europe. That eventually lead to the crowning of Margrethe II Valdemarsdatter as Queen of Denmark at only eight years old. She preceded salic pragmatically to throne over every male heir, Garnering Empire of Europa by Rome Statute youngest Crowned Princess Royal. And She was been and has been the strongest coated arm of royalty. 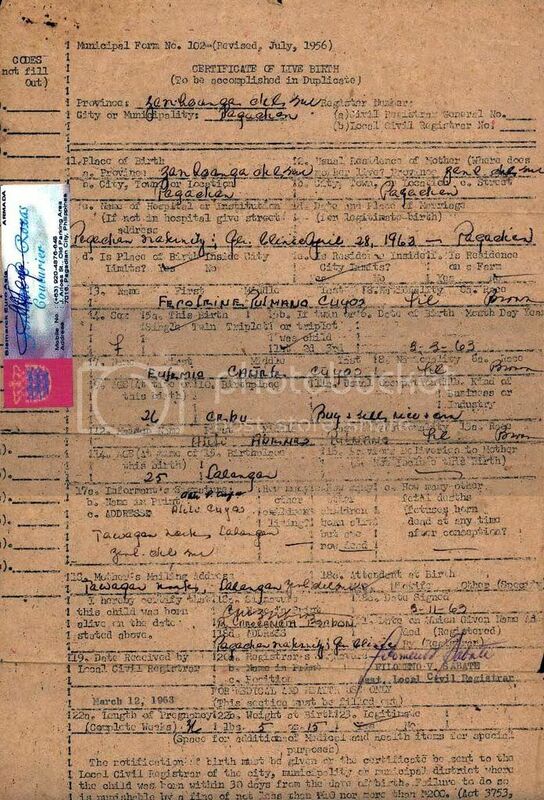 Base on The Absolute Signatory of Scandinavia France & Spain Crown Title of Eng'r/Desgn'r Maria Fairolaine Pulmano Cuyos/Roxas and Live Birth Cirtificate and Baptismal Documents. Union of Kalmar Crowned Regency in The House of Valois Margrethe 1 Valdemarsdatter 1353-October 28,1412, On 1971 Her Remains has been dug up in Vegan City Philippines. Project has been finance by The Duke of Windsor and family, In the hope and quest for Princess Fairolaine Official State Name. Upon USA Cede of Philippines to France. The family has spent One Million Php paying the damages done to Vegan City roads infrastructures. Apart from the Scientist that man the excavations, Margrethe I Valdemarsdatter Genealogy has been recorded in Japan and Korea. Of which last entry was The Queen Died in Vegan City Philippines of Which That City has been the center Capital City of Trade Mercantile of Maas Majaphahit Impire & Shri Vishaya. The project has been of great success when Princess Fairolaine has mark 24percent in perfect match to The DNA of Margrethe Valdemarsdatter. The pre requisite to assert royalty to Officially license European Union Constitution of 1971 and Scandinavia Bishopric, in constitutional crises to what have been the treaty that separate Scandinavia as a state, back 1904 Treaty of Peace in Paris, And for its future renewal of The rule of law. And such rule of law has covered the separation of State Church in Umbrella of Faiths. Margrethe I Valdemarsdatter was known in Philippines as Princess Urduja, A royal sangley of mixed nationalities of European Regent of Japan and Korea and some of Arab Genes. The idea of Princess Fairolaine might be related was come from Emperor Herohito. As the research goes on. One thing that drive The Duke of Windsor and Queen Mother to a total faith when They found out Princess Urduja Royal seal that matches the royal seal of York of Estonia,Denmark and French Valois Fluer-de-Liz. That means that Margrethe I Valdemarsdatter Religion is a Roman Catholic. With an ancestry of Buddhism Shintoism & Islam. A Regent of Royalty that comes from the breeds of royals that believes in one Magnificence of faith. Margrethe I Valdemarsdatter drawing and image was base upon her skeletal orientation with a back drop of Princess Fairolaine security thumb print of 1971. In her grave, some of the queen's paraphernalia like a silver and gold crown, clothing as depicted on the drawings are found besides her remains. The Valdemarsdatter remains has been reburied in Denmark Church of Roskilde after all the constitutional processes. Leading To The Crowning of an eight years old Queen Margrethe II Valdemarsdatter in Christiansburg Copenhagen of June 5th,1971. House of Glucksburg & Romanov. Emperor Wilhelm 1 and Czarina Augusta Of Unified Germany Russia and of France. Emperor Frederick Friedrich Rossos III was King Wilhelm Statute son and Nephew to the throne of Unified Germany. Princess Fairolaine never remember there had been any talk about The Crowned Princess Royal of Prussia Sophie of any sister or brothers. The Mother of Her Grandfather Clemens III deOldenburg. Queen Sophie has inherited King George III of England Absolute Wills The Queen Anne Wills & Statute of Rome. On 1904 Treaty of Peace of Paris, Queen Anne Sophie Dominium was The bishopric of Spain England Formosa United States of America & Spanish Malaccah regions. By Pax Americana in Moro land. She was the first Bai Landia of Sultanate of Sulu and Jolo. She was well known as "Reyna Tisay deRegata" in moroland, That was the time when Turkish regions are still under the land of Germany and Armenia. By Queen Anne Statute Absolute Will Queen Sophie had created The Duchy of Scandinavia by Thomas Carringer Statute Will comprising of Denmark Sweden Norway Iceland Japan Greenland Korea and Faeroe Island as of 1904. The Philippines has been ceded to Queen Anne USA Bishopric of New Found Land Europe in America, to her Vice Royal The Captain Guard Masaiche 9th Frederick Edward of The Third House of Bonaparte of Orleans and America, The Statute Son of The Duke of Montpesier exiled in USA. Who was gossip as Queen Mary von teck son to the Duke of Clarence Deutchland, The Emperor of Japan. By 1904 The United State of America was realized and constituted as a Republic Rule of which sovereignty was by the basis of democratic election. 1971 USA Ceded Philippine Island to France by 24million in Dollars. Thus constitutionality has been a franchised of present republic in terms and conditions by current monarch absolute mandate to terminate its republic rule. Clemens III deOldenburg defined her mother christening name as Cepriana Maribuhuk Garcia. Since Czar Alexander of Russia was a Regent Daimyo Maribuhuk of Harido. King Wilhelm was address by Muslims as "The Rajah Alimuddin ya'Akbar The Christian Sultan of Glucksburg". However to The Korean relatives; King Wilhelm was better known as The Emperor of Li Majong Clan from Switzerland. However Princess Fairolaine was better known in Korea as The Maria of The Alps! Czarina Augusta and Czarina Alexandrina Wife of King Christian Xsr of Denmark are sisters. And also Czarina Olga The wife of King George 1 of Hellenes. Daughters of Czar Alexander III of Russia and Crowned Grand Duchess Maria Feodorovna of Denmark and of Kent. King Frederick IX of York and of Denmark was King Christian Xsr and Czarina Alexandrina "Grand Duchess Royal of Russia "Aquirah" eleventh and youngest son, and The earl of Armenia Biological Parents. King Frederick IX of Denmark was Princess Fairolaine, Margrethe II Valdemarsdatter Grandfather in father side. King Frederick IX of York Armada & Denmark clossiest Ally and Statute brother. In The Family He is The Masaiche deRoxas and formally address as The Captain Guard Masaiche. 1893 - 1972 9th Frederick Edward Statute of The Third House of Bonaparte at young age by The Duke of Montpesier. At The Demise of The Duke of Montpesier. Prince Knud was The Second to throne of King Christian Xsr of Denmark. Queen Mary von Teck admitted was engage first to The Duke of Clarence Emperor Herohito of Japan. On 1894 at eleven years old Queen Mary von Tech expolsion from Japan recorded, that The Queen travel with her to Europe Emperor first born son. Upon her marriage to The King of England Prince Knud was Statuted to the Duke of Montpesier currently in exile in USA. On 1903 Prince Knud was second to The Throne of Denmark. Prince Knud Married his playmate Princess Eleonor back in Orleans and a classmate Surgeon back USA. On 1904 The Philippine Island was ceded to Him channel to American New found republic constitution, By France and Czechoslovakia protectionism in fear of Japan Dictatorship and The lost of Russia in war against Japan back 1905. USA has win the heart of Sultanate of Jolo Muslims having ratified The Bates Treaty on 1916 or popularly knowned as The Pax Americana a Heritage of Pax Britania Crackdown in 1901. On 1971 Prince Knud has once again cede Philippine Islands to Margrethe II Valdemarsdatter by The Statute of Edict of Nantes of House of Bourbon York/Valois of Margrethe I Valdemarsdatter Union of Kalmar. Prince Knud has serve Denmark, USA, Japan and Philippines as Consul General to European Commission and as a Co Founder from 1953 to 1972. He was also a celebrity Pitcher of New York Yankee. Prince Knud Eldest son Prince Anthony married Shah of Iran Daughter Princess Kalmar and of Cecil and Prince Knud eldest Granson was name Purisimo. Father of Margrethe II Valdemarsdater only daughter Princess Debra. The 9th House of Lyon and Hapsburg of Wales Elizabethan Twin Cicily. Margrethe II Valdemarsdatter Statute Grand Uncle by his Marriage Affiliation to King George V Widow, Queen Mary von Teck. 1910 The Last Emperor of China June 10, 1891 to October 26, 1984 is Queen Elizabeth II Bowes Lyon Eldest and Half Brother. Abdication from The Throne of his Native Chinese land Overthrone by French. On 1925 He survived Communist firing squad, Bared with Him countless and hundreds of Bakbak gun shots wounds all over his body, at his back and front body, With a fatal pierce of sword on his lever side abdominal part. He addresses France as His Barbaric Fatherland. On World War One He followed Queen Mary Von Teck secret place in Tawagan Zamboanga del Sur and pretend hired gardener. He goes with Emperor Frederick IX of York on State Visit in Jolo and bring with him Oleg Casini a giant edible snake habitat of Jolo, In Chinese belief, an omelet of good love and marriage. He call Queen Mary von Teck Botanical backyard garden of Roses and Orchid, with Piggery to fuel her biogas digester, "The Bejing". When THe Duke of Windsor and Queen Elizabeth II Bowes Lyon drop by visit to her Mother in Law, on her way to Australlia. Seeing her big brother of Queen Mary in acting ala slaves, seem a story of fairy tales ended. 1947 He Married Queen Mary Von Teck and become Japan Puppet and The Emperor of Armada by Rome Twin Cicily. Retention of House of Bourbon finally completed on 1947. On 1967 Puyi and Margrehe II Valdemarsdatter Visited Korea, They were toggled by media on their way to their favorite Korean restaurant. One Media from China asked the Last Emperor of China about his late proffession. He answer that currently he is a gardener in Bejing! The Princess was caught up gigling remembering granfa picture hung amongs his pigs collections in Queen Mary von Teck botanical graden. They did not expect such royal joke was taken by words. Emperor Frederick X of York 1937 - 1999 First Absolute Signatory and Agnatic to The Throne of Duchy of Scandinavia and Denmark Absolute Deed of Will Granted Two Dynastic Succession by Salic Pragmatically to Throne, 1975 Promulgation noted Mountbatten and Mopezat up to the last sibling and generation as dissidents to The Wills. Frederick X Over ruled Agnatic claim in deposed of Mountbatten and Mopezat in unproven Genocide purely invented and proven indiscriminate falsifications of Royal Documents to the extent of Identity rubbery and qualified thief, in wash out and incompetent claims of recorded organized crimes of mass murders and numerous mobberies against the fifth Reich royal family, The Current Patron of State Will as of 1972. Who was Assassinated in Paris by a fatal gun shot. The Patron died in Bourbon Hospital during a mission order. Attributed by International Deed of Copy Right Licenses OSI EU Creative Commons 2.5 Generic Related Right of Margrethe Valdemarsdater jr. This page was last modified on 28 January 2010, at 04:48.